SUNRISE, Fla., Jan. 16, 2019 (GLOBE NEWSWIRE) — Profile Solutions, Inc. (OTC Pink: PSIQ) is pleased to announce the receipt of $2,500,000 to become the only licensed growing farm and processing plant for medical cannabis & industrial hemp in The Kingdom of eSwatini f/k/a Swaziland (“eSwatini”) for a minimum of 10 years. The $2,500,000 is being held in Escrow subject to PSIQ receiving the exclusive 10 year license and related permits in The Kingdom of eSwatini to (1) operate an advanced hemp & medical cannabis manufacturing facility to grow and cultivate cannabis in accordance with strict GMP global health standards (2) distribute hemp & medical cannabis within the The Kingdom of eSwatini (3) export hemp & medical cannabis worldwide (4) operate a medical cannabis R & D lab and (5) build a training facility to create jobs for local eSwatini citizens. PSIQ and Stem Ventures, Inc. (“Stem Ventures”) have formed StemPro International, Inc. a Nevada corp. (“StemPro”). StemPro shall be owned 51% PSIQ and 49% Stem Ventures. PSIQ shall receive its 51% interest by assigning the rights to the only licensed growing farm and processing plant for medical cannabis & industrial hemp in The Kingdom of eSwatini once attained. Stem Ventures shall receive its 49% interest for payment of $ 5,000,000. In the event PSIQ does not receive the required licenses and permits to become the only licensed growing farm and processing plant for medical cannabis & industrial hemp in The Kingdom of eSwatini on or before February 15th, 2019 unless mutually extended in writing by the parties, $2,500,000 shall immediately be returned to Stem Ventures. 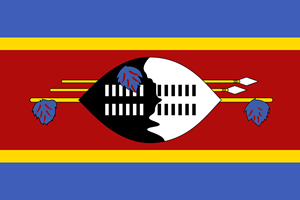 The Kingdom of Eswatini, f/k/a Swaziland, is a country in Southern Africa bordered by Mozambique and South Africa. Eswatini is one of the smallest countries in Africa populated with approximately 1,400,000 residents. The population is primarily ethnic Swazis, whose language is siSwati. The sovereign state is an absolute diarchy, ruled jointly by Ngwenyama (“King”) Mswati III and Ndlovukati (“Queen Mother”). eSwatini is a developing country with a small economy. With a GDP per capita of $9,714, it is classified as a country with a lower-middle income. As a member of the Southern African Customs Union (SACU) and the Common Market for Eastern and Southern Africa (COMESA), its main local trading partner is South Africa; in order to ensure economic stability, eSwatinis’s currency, the lilangeni, is pegged to the South African rand. ESwatini’s major overseas trading partners are the United States and the European Union. The majority of the country’s employment is provided by its agricultural and manufacturing sectors. ESwatini is a member of the Southern African Development Community (SADC), the African Union, the Commonwealth of Nations and the United Nations. Eswatini has had one of the best growth records in Africa and has pursued liberal policies towards foreign and private investment – especially in mining and industry – since independence in 1968. GDP grew by 6.7 per cent p.a. 1980–90 and 3.4 per cent p.a. 1990–2000. The economy grew well in the late 1990s, but growth was generally slower in the 2000s, due to the deteriorating investment climate, erosion of trade preferences, declining competitiveness, weak institutional capacity and devastation of the workforce by HIV/AIDS. Average GDP growth was 2.6 per cent p.a. in 2000–08. In response to the world economic downturn of 2008–09 Eswatini’s economy slowed in 2009–10 and underwent a small contraction in 2011, before returning to growth of about two per cent p.a. in 2012–15. Its vulnerability lies in heavy dependence on soft drink concentrate and sugar cane, and on South Africa, which provides imports, investment and employment. It does, however, have established wood pulp, fruit-canning, and clothing and textiles industries, and manufactures a variety of consumer goods, including refrigerators, footwear and plastic domestic goods.